Blogs are a great way for you to be able to talk about your company and give updates, but further than that, they are a great way to improve SEO for your site. SEO is the process of optimising your website so that search engines will favour your site to your competitors and you’ll appear higher in the rankings. If search engines, such as Google, see that you are constantly updating your website with fresh content, it can see that your site is still relevant and not stagnant. It is a lot more difficult to constantly update the main pages of your site regularly, so a blog is an easy and simple way to keep creating fresh content, which tells Google that your website is relevant and still in use. If you’re writing about a topic that users are searching for regularly, the keywords you use can help you rank higher on Google, therefore driving more search traffic to your website. It is worth noting that stuffing your content full of keywords, rather than adding them in naturally and making the content high quality, works against you. So you need to make sure that the keywords are relevant and the content is useful to the end user. Blog posts can also serve as a way to build internal links across your site to core service pages. Internal links from relevant content helps Google to understand your site better and can build up the authority of your main pages. When you create a truly great piece of content that’s useful, interesting, and serves a purpose, it can naturally bring in backlinks from other sites that want to link to your content, sharing it with their readers. Backlinks are good for building up your site’s authority in Google, improving rankings over time, and can also bring in additional traffic. 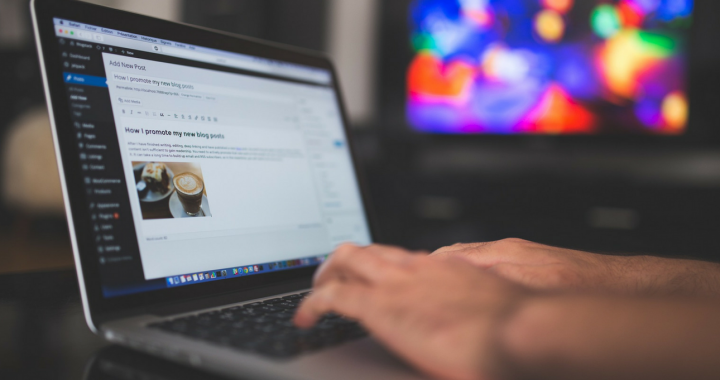 There are a huge range of benefits to starting a blog, as well as all of the SEO benefits, it is a great way to show off your company and brand. Writing insightful content about your industry is a great way to show off your company’s knowledge and expertise in your field. Through writing helpful content, you can drive users to look at other pages on your website and ultimately create conversions on your site. Even if you are an expert in your field, a little research never hurt anyone. Even if it is just to take a quick look at the latest news about your chosen topic – it is always worth a quick search online to ensure you have the latest information to work with. Use a spell check tool or get someone else to proofread your work before you put it live. Spelling and grammar mistakes don’t look professional – so check and check again before you post! Having loads of big blocks of text puts people off, especially online. Break it up with some headings to make it easily digestible, which will also be good for SEO, improving the user experience. Another way to break up the text is with attractive and interesting images that support your writing. However, make sure you have the right license for posting images as you don’t want to go against copyright law. Direct readers to take some sort of action following the blog, such as give you a call or download a brochure. There are a wide range of techniques that can help optimise your website for search engines. We have a friendly, knowledgeable team especially dedicated to creating content for blogs and optimising them for SEO purposes. If you are interested in enlisting our help with your content writing and blogs, please do get in contact with us on 01403 261491. Posted in Blogs, Content, SEO.